This is one floor living at its finest! Welcome to 46 Brownstone, a custom built ranch style home meticulously maintained by one owner. 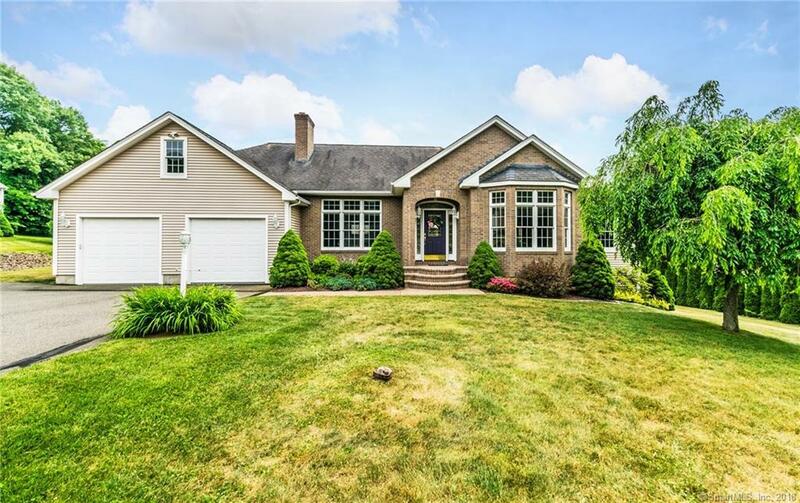 This beauty is located in one of Southingtons most sought after neighborhoods, on a lovely cul-de-sac on an acre of land. No expense or details spared here. You will love flexible floor plan which features gleaming hardwood, recessed lighting, 6 paneled doors, high ceilings, new light fixtures & is bathed in natural sun throughout thanks to the abundance of Anderson windows. An open concept lends itself to carefree entertaining. From the spacious living room with fireplace to the eat-in kitchen which is every cooks dream and features tons of cabinetry, granite counters, large center island w/ breakfast bar & storage, NEW stainless steel stove, refrigerator and dishwasher. Head outside to the maintenance free covered deck w/ ceiling fan & enjoy dining al fresco while overlooking your backyard. The vast Master Suite is peaceful & offers a walk in closet, full en suite bath w/ whirlpool tub & double sink. The huge, walk out lower level offers expansion opportunities w/ no lally columns to get in your way, cold cellar, propane hookups, duct work in place for central AC & interior access points. The walk up attic offers plenty of storage or can be finished as well! No shortage of parking in the garage which can fit 3 cars comfortably with one bay being "double deep". Enjoy the central AC, new hot h2o heater & water filtration system! A must see! Listing provided courtesy of The Miale Team of Keller Williams Realty.